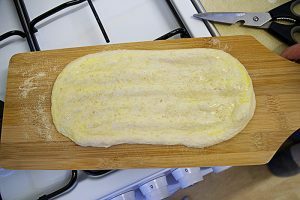 A reader requested recipe, Barbari, crisp on the outside, light and airy on the inside is a favourite, traditional Persian flatbread. 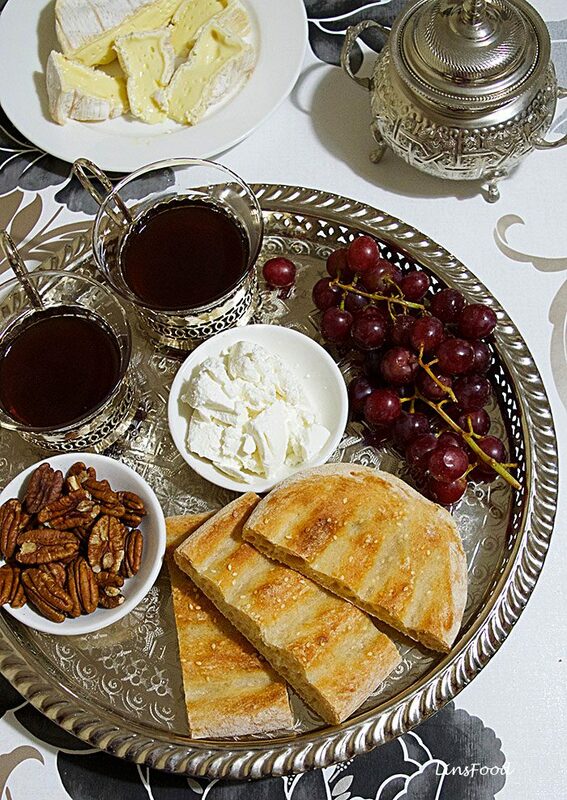 It is a popular bread for breakfast in Iran, and is served with any number of accompaniments like cheese, fruit, cream and nuts. Bread is an important part of Persian cuisine, as it is in many other foods of the world. The earliest archaeological evidence of bread being baked and consumed, goes as far back as 9000 years ago, found in the northern parts of what is now Iran. 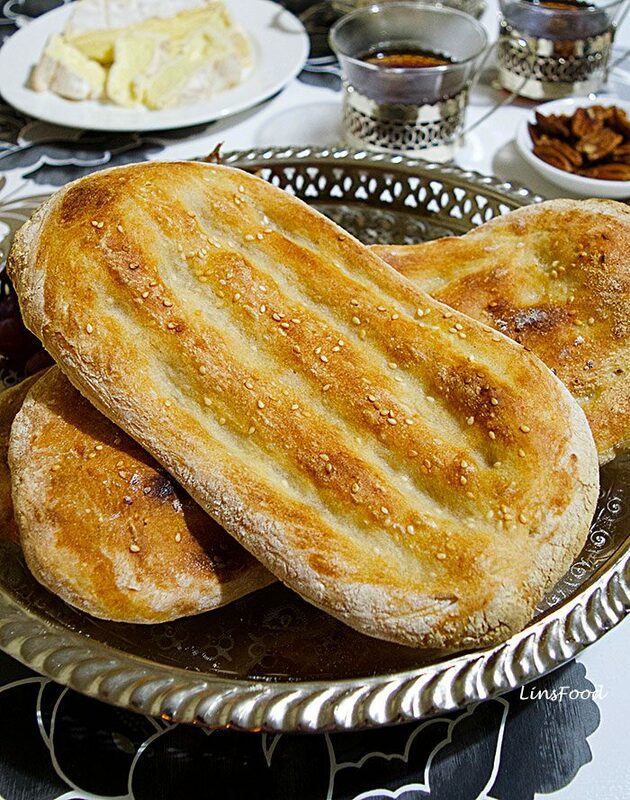 Besides Barbari, other types of bread found all over Iran include Sangak, Taftoon and Lavash. Then you also have the regional types, like Lako, popular along the Caspian Coast, and Shelkine, a bread favoured by the Kurds. There are a few theories explaining the origin of Barbari. One of them is that it’s named after the Barbars, or barbarians/foreigners. The Barbars refers to an indigenous ethnic group from the north eastern part of Iran, so bread baked by the Barbars is known as Barbari, by the Barbars or of the Barbars. Or Naan-e-Barbari, as bread in Farsi (the Persian language) is naan, or noon. Another theory maintains that Barbari is of Turkic origin. Of course, Turkic covers a wide range of peoples covering north, east west and central Asia, not to mention parts of Europe. They are said to be related to the Mongolians. The Turkic people moved a wide distance and at some point, settled in and around Iran and other parts of West and Central Asia. 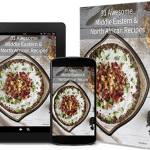 Suffice it to say, there are many breads across the region that are similar in nature to Barbari, with various differences and similarities in the recipes, preparation and shape. Barbari is found all over Iran. Bakeries get started on it in the wee hours of the morning, with rows of Barbari dough balls, being readied to be baked, in time for the morning rush of customers. 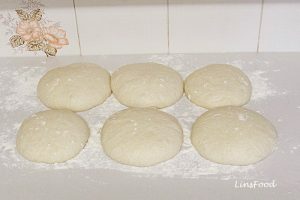 The dough balls are flattened, glazed, grooved, sprinkled with seeds, stretched, then baked for the hungry hordes every morning. Each bakery or even baker will have its/his own way of making Barbari, resulting in a slight difference in flavour, texture and perhaps even colour of the crust. The traditional Barbari is very long, measuring about 60-70cm (about 2 feet), with long grooves running right across, with slight bulges at both ends. Naturally, unless you have a large pizza oven, you’re going to have to cut that length down to fit whatever oven you have, stone or the usual kitchen oven. I first made barbari, with hilarious results, sometime in the 90s, in the home of my Persian friend, Zareen. Her dad and his brothers ran a bakery just outside of Tehran, that had been in the family for a few generations, before they moved to the UK in the 80s. The bakery is still run by family members, as far as I know. Zareen’s dad was a whole lot of fun, as was her mum. And it was from them, but mainly the dad, that I learnt to make Barbari and other Persian breads. 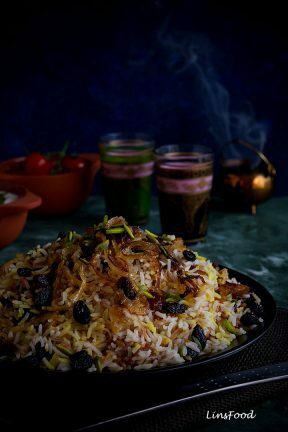 From her mum, I learnt to cook traditional Persian food. Mr & Mrs N were also extremely patient, which was a good thing, as it took me quite a few attempts to get the bread baking part! As is in our culture, I always addressed them as uncle and auntie, which to a young, single girl in a big city, with no family of her own around, was just perfect! 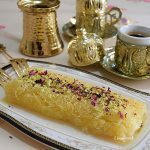 Let’s take a look at how to make Barbari at home. 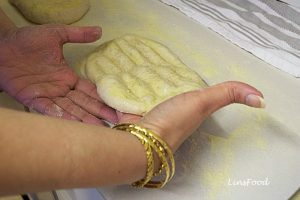 There are a few parts to making Barbari, with the usual resting time when making bread. I have so far found that all purpose flour works best, resulting in a softer Barbari with a lighter crumb. 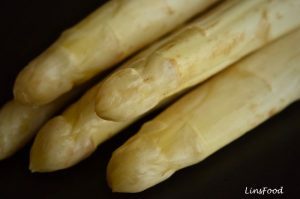 When following a new recipe to make a new bread, this is probably the biggest factor that influences the final result. Flours vary from country to country and make to make. 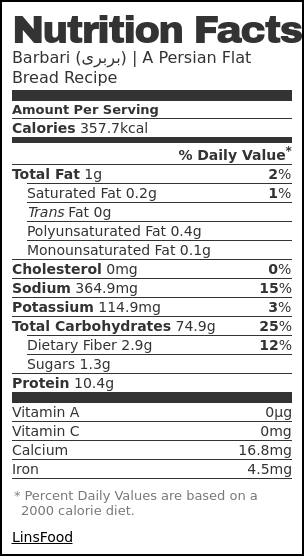 So start with a flour that has a minimum of 10% protein and see how you go. One of these days, I’m going to try Italian 00 flour and will update here as to what I thought of it. I would suggest an initial minimum resting time of 1 hour. With the recipe here I like to give it a full 2 hours. I have, on a few occasions, left it overnight, but reducing the amount of yeast by 1/3. The roomāl is an essential part of baking barbari. Every person has his own preference for this mix, as it enhances the look and flavour of the final bread. 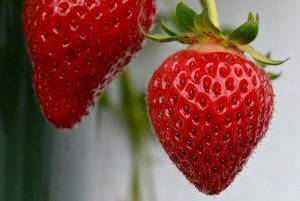 The basic version consists of just water and flour, although some people add bicarbonate of soda to this basic version. I have never been able to find out why. So if you know, let me know! Some bakeries may also add saffron, honey or date for a flavoured crust and a deeper colour. See how stretchy and sticky? I suppose you might consider this a skill, as the more you bake Barbari, the better you will get with this. The first time I made barbari, under the watchful eye of Mr N, I erm, messed it all up. I ended up with a thin middle and bulbous ends! Because I was trying too hard. 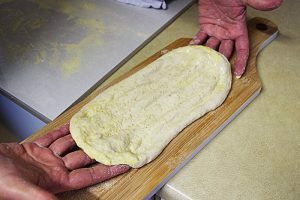 A properly made and rested barbari dough is so sticky and pliable that the stretching almost comes naturally as you are lifting the bread across. Almost. You do have to encourage it a little with your hands. My suggestion to you would be to keep practising. Initially, just lift and place on the “transfer board” (see explanation of transfer board below). Then stretch the bread on the board by pulling along the grooves. As you get more comfortable with the lifting, just pull it ever so slightly, while your fingers are supporting the middle. 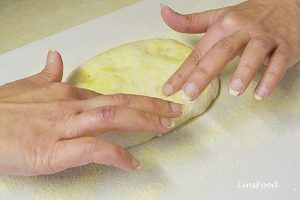 Lift the edge of the dough up with your right hand. Insert your left hand under the middle. Then slide your left hand to the left edge, but with your fingers still extended to support the middle. Your right hand should be holding the right edge and also supporting the middle as much as is possible. If you are left handed, just reverse that process. 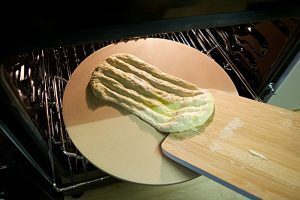 Lift and place your bread onto your pizza peel or any board you are using, stretching the bread as you go along. 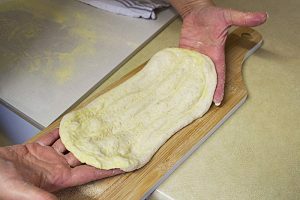 A pizza peel will make transferring your barbari to the hot pizza stone or baking sheet much easier. 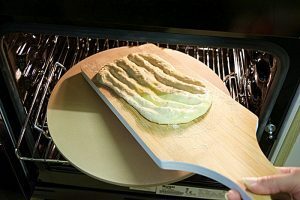 A pizza peel is the pizza board you use for inserting and removing pizzas. Technically, any wooden board will work, preferably, with a handle. Right, I think we are done with all the prep info! Let’s get down to the business of baking barbari. Do you make your own bread? Have you always wanted to? No time like the present and no time like a new year for it! Barbari, crisp on the outside, light and airy on the inside is a favourite, traditional Persian flat bread. It is a popular bread for breakfast in Iran, and is served with any number of accompaniments like cheese, fruit, cream and nuts. 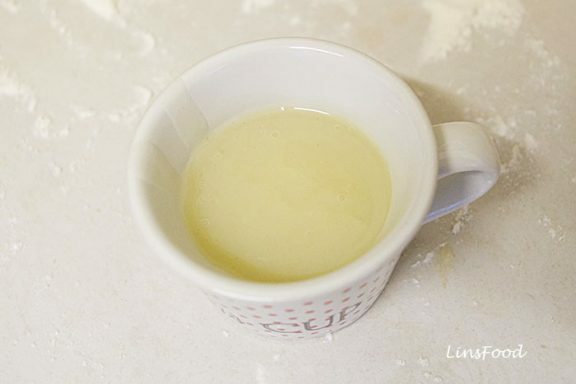 Pour 1/2 cup of the water into a large bowl (enough to take all the flour in later), and sprinkle the yeast all over. Stir and leave to work for 15 minutes. Sift the flour and mix the salt in. 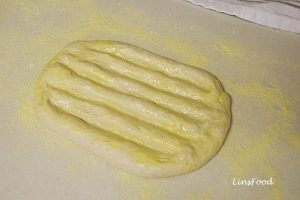 At the end of 15 minutes, tip the flour into the bowl of yeast, in about 3 additions, and using a wooden spoon, stir it all in, until you get a sticky dough. Now you need to knead the dough to get a smooth mix. 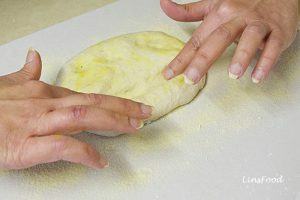 You can do it in a tabletop mixer using a dough hook or by hand. 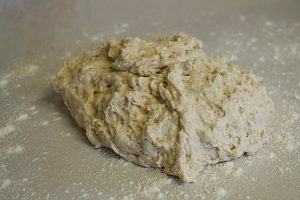 Tip the whole sticky mess into your mixer bowl and knead on the lowest setting for 2 minutes, until you get a smooth, stretchy dough. 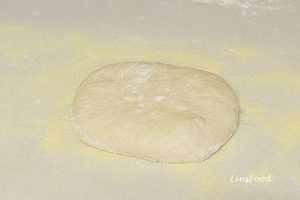 Generously flour your work surface and tip your Barbari dough onto it. 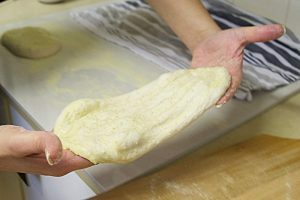 Dust your hands well with the flour, and knead for 5-7 minutes until you get a smooth stretchy dough. 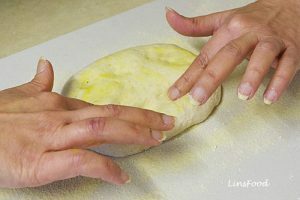 The dough is going to be very soft and sticky, so keep flouring your hands, being sure not to add too much flour to the actual dough. 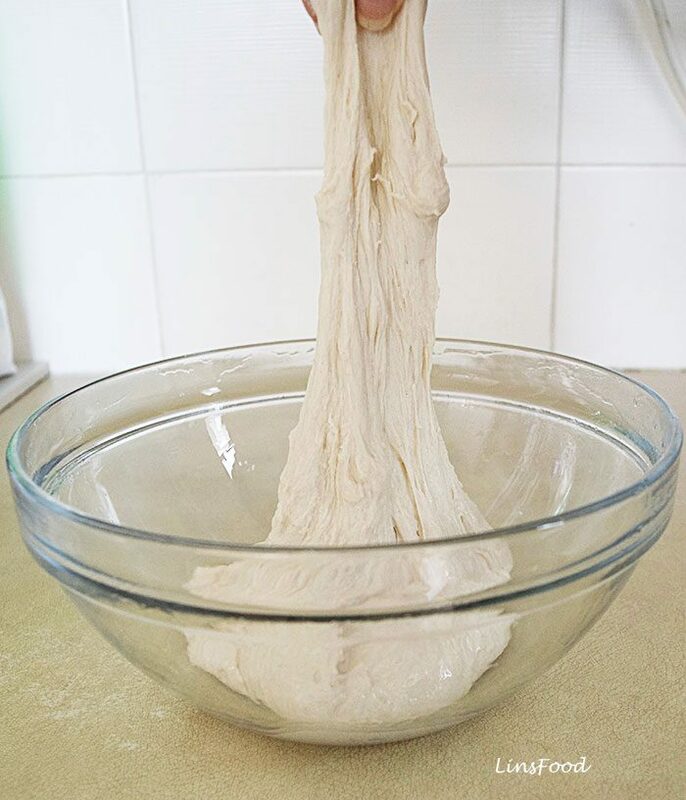 Place the Barbari dough into a large, lightly oiled bowl and leave, covered in clingfilm, to rest for 2 hours in a warm place. I put mine in the airing cupboard, as I have a cool kitchen. 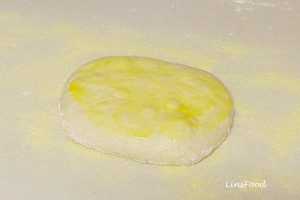 At the end of the 2 hours, tip the dough onto a generously floured work surface and divide it into 6 balls. As the inside of the barbari is light and airy, we don't punch the dough down, but instead, handle it gently, to maintain that lightness. 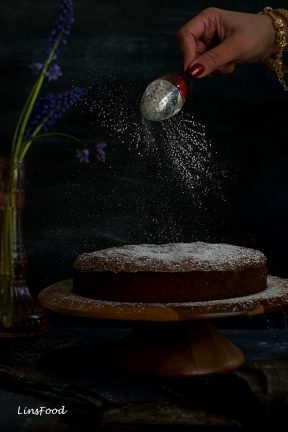 Dust the top lightly with flour, cover with a damp cloth and leave to rest for 20 minutes. 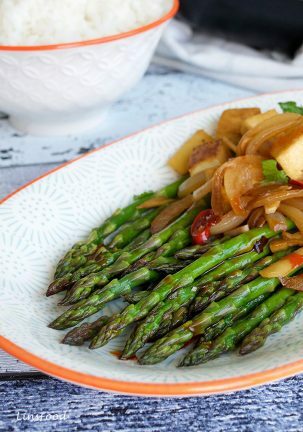 Place everything into a small saucepan on low heat and bring to a simmer. 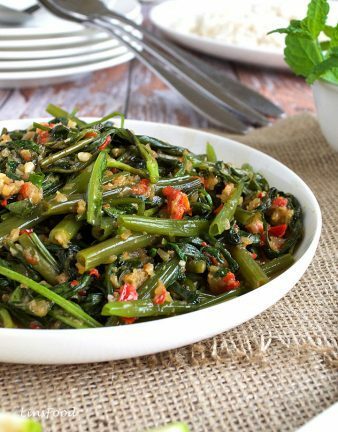 Stir it frequently until the mix thickens and becomes translucent, resembling starch. Set aside to cool. 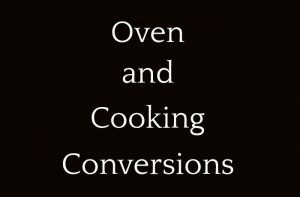 Turn your oven on to 240˚C (Fan 220˚C/475˚F/Gas Mark 9), and place your pizza stones or baking trays in. 2 at a time. 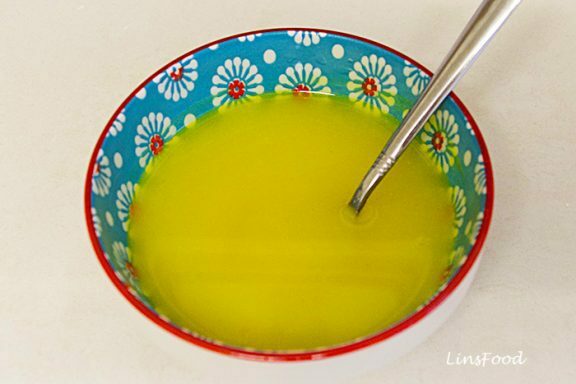 Sprinkle the semolina all over your work surface. This is to stop your sticky barbari from sticking onto the surface. 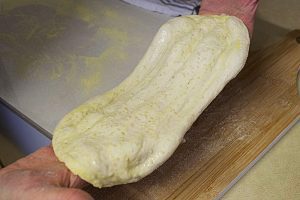 Take 2 dough balls and flatten them with your hands to form a sort of a rectangular shape. 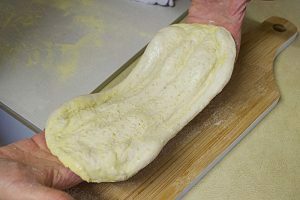 Place roughly a teaspoon of glaze on the middle of the flattened dough and using your fingers, spread the glaze all over. 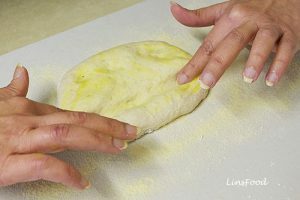 Using your forefingers, start in the middle of the dough, and pull your fingers along, moving out towards the end of the barbari, forming a groove. Repeat, forming a total of 3 or 4 grooves. You will be stretching the barbari a little while doing this, you are meant to. 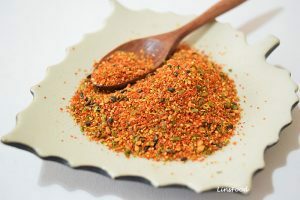 Sprinkle the seeds all over. 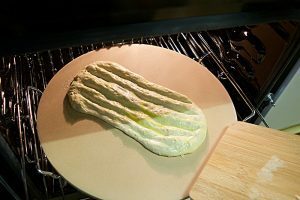 Now, you need to stretch the dough as you lift and transfer it to your baking sheet in the oven. If it's easier, bring your baking sheet/pizza stone out. I know it'll cool down, but do what is comfortable for you. A pizza peel will make this job much easier. 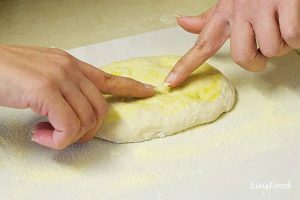 Pick the dough up with your right hand, insert your left hand under the middle, then slide your left hand to the left edge. 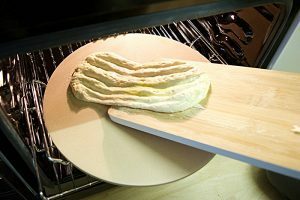 Lift and place your bread onto your pizza peel of any board you are using, stretching the bread as you go along. If the barbari goes out of shape, just carefully "adjust" as much as possible. 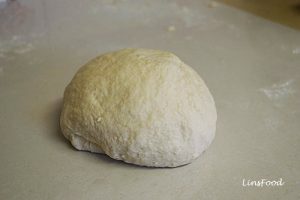 Repeat with the second dough ball, flatten, glaze and seed. 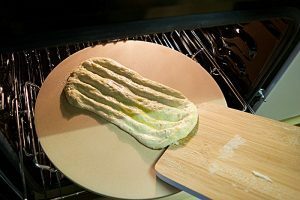 Slide the first barbari onto the hot pizza stone/baking sheet in the oven, as in the pictures above. 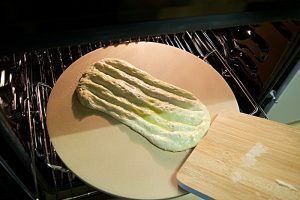 Repeat the transfer and stretch with the second dough, sliding it onto the second pizza stone/baking sheet. Bake for 10-12 minutes, until the top is a nice soft brown. 10 or 12 minutes will depend on your oven and how hot it gets. I have to go for the full 12 with mine. 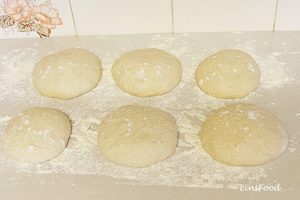 Prepare the next 2 dough balls as you are waiting for the first 2 to bake, then on with the final 2. That's it. Tada, you've baked yourself some barbari! Serve as mentioned and in the pictures. Hi, I made these yesterday for the first time and they were fantastic. It’s a great recipe and although I’m not an experienced cook even I managed them. Thank you! Hi Azlin – Great tutorial! 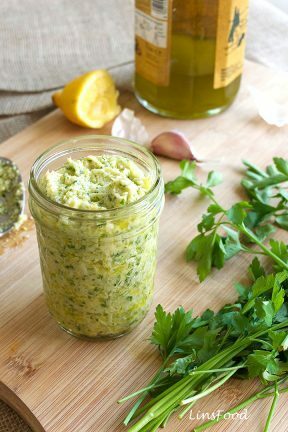 Did you ever try this recipe substituting the 00 Italian pizza flour? Thank you, Steve. I did, should edit the post! I found that using the 00 flour created only the slightest difference, but the air pockets were certainly more pronounced. Not enough of a difference to warrant it. 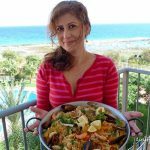 Thank you, I am so glad I saw your recipe when searching for barbari. Your pictures are very helpful, and that video too. Thank you for giving us the Iranian video to see. I am going to try this bread to make on Sunday. 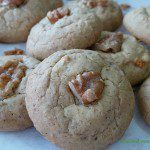 If I want to leave the dough overnight, so I can bake in the morning for breakfast, do I use the same recipe? 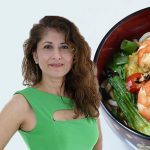 Thank you Shabnam, I thought my readers would enjoy the video. If you are going to leave it overnight, I suggest reducing the yeast all the way down to just 1g. Everything else remains the same. A very good tutorial, thank you. Saved to make. Thank you so much. Let me know when you do. Wonderful! Just saw this on a friend’s facebook page, and had to come and see it. 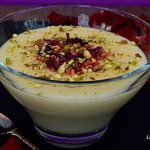 My parents were born in Iran, but I never learnt to make this from them. I thank you for posting a recipe from my childhood. 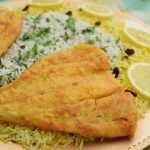 I see so many other Persian recipes here, I will start a folder for you! With norooz just 2 months away, a good time for me to practise. Thank you again. A pleasure, thank you, Shereen. Let me know if you are looking for a specific recipe. Are your parents still with you? For the glaze, did you mean to write 1 tsp flour and 125 mls water? Fantastic post. Thank you very much for this recipe. My mum left Iran when she was little and always talks about this bread and Sangak. I can’t wait to try it. Awesome, I look forward to your thoughts. 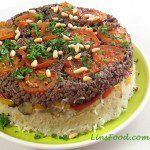 Hi Azlin, thank you for this recipe. I am looking forward to trying it. All purpose is regular plain flour in the UK? Hi Barb, yes it is. Have fun!